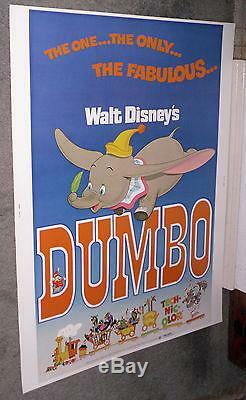 From the film "Dumbo" re-released in 1976. This poster was sent to theatres to be displayed in the lobby to promote the film's engagement. This poster is rolled, it has never been folded. The poster has a small bit of wear (see photo) and measures 30x40 inches. 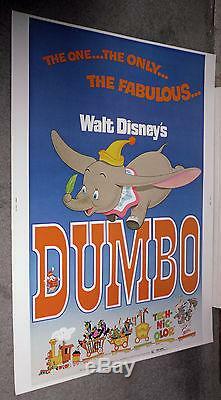 The item "DUMBO original ROLLED DISNEY 30x40 movie poster" is in sale since Sunday, October 1, 2017. This item is in the category "Entertainment Memorabilia\Movie Memorabilia\Posters\Originals-United States\1970-79".